From the A12 (Eastern Avenue West) take the A1112 (Whalebone Lane North) heading south towards Dagenham. After approx. 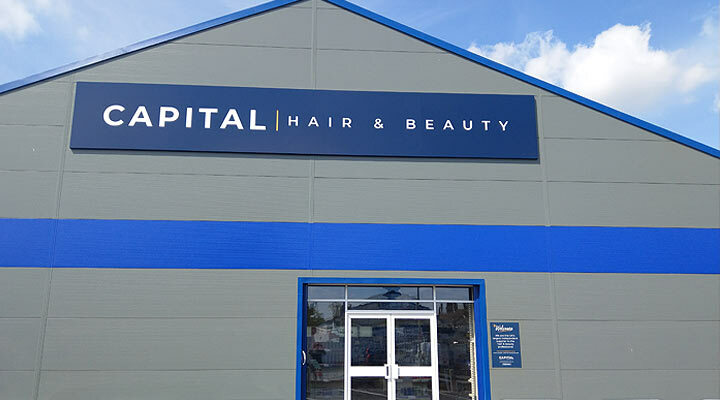 1 mile turn right at a set of traffic lights onto Selinas Lane, Capital Hair & Beauty is immediately on your right. From the A13 (Thames Gateway) exit onto the A1306 (Ripple Road) towards Dagenham/Hornchurch. After 0.3 miles turn left onto the A1240 (Heathway) and continue for 1.7 miles before turning right onto the A124 (Wood Lane) at a t-junction/set of traffic lights. After approx. 0.5 miles turn left at a set of traffic lights onto Selinas Lane, Capital Hair & Beauty is immediately on your right. Come and visit us at our store in Dagenham! Meet our friendly staff and choose from the largest range of hair and beauty supplies in the area!